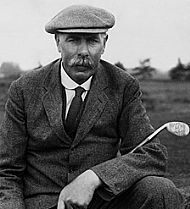 James Braid was a club maker, professional golfer and course designer who was born in Fife in 1870 and died in London in 1950. Trained as a carpenter and joiner, he started his golf career on the links course of Elie and moved to London in 1893 to become the club-maker for the Army and Navy Stores. His first job as a professional was at the Romford Golf Club starting in 1896. 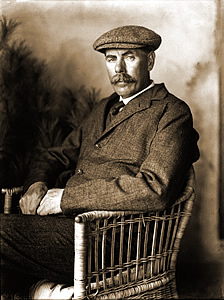 He was runner up in the British Open in 1897 and won the Open at Muirfield in 1901 and won four more Opens at St Andrews in 1905, Muirfield in 1906, Prestwick in 1908 and St. Andrews in 1910. He also won the PGA Championship in 1903, 1905, 1907 and 1911 as well as the French Open in 1910. He retired from competitive golf in 1912 and became a renowned golf course architect and regarded as one of the finest ever in his field. He was responsible for designing over 250 golf courses throughout the British Isles including 101 in Scotland. He is responsible for the design in all or in part of the courses at Boat of Garten, Inverness, Muir of Ord, Fortrose and Rosemarkie, Golspie, Brora and Reay – all of which are shown on the map below. For detailed information on any of these courses simply click on the appropriate icon in the map below. The James Braid Highland Golf Trail has been initiated to enhance the experience of golfers wishing to visit a wonderfully picturesque part of Scotland whilst benefiting from the enjoyment and challenge of playing over our Braid designed golf courses. 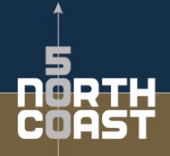 In addition to background information and detailed location maps for the seven courses you will also find information regarding accommodation, suggested itineraries and 'off-course' suggestions for you or your non-golfing partner.